Being a one woman household either means sharing meals with good company, or eating the same ingredients (in different ways) for a few days in a row. 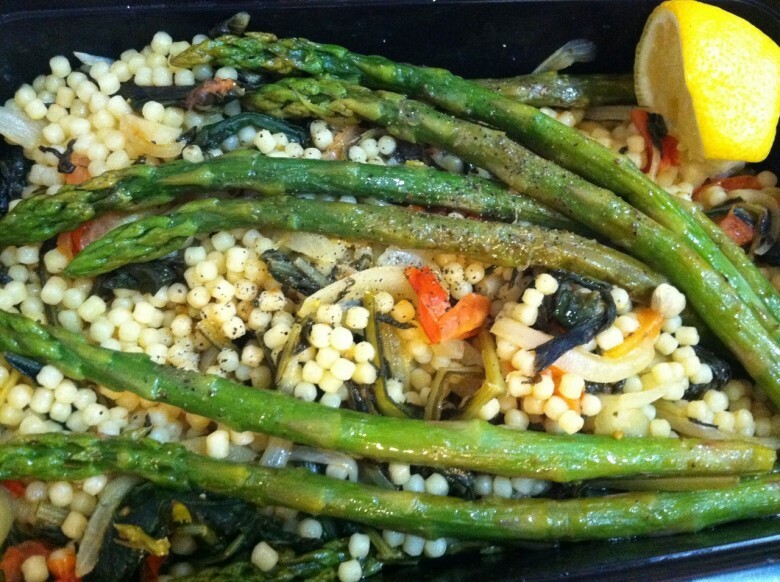 The Mediterranean Chicken with Dandelion Greens Pastina I made the other day, became the Pastina and Asparagus work lunch (shown below), AND this healthy nutritious soup. Remember when I said a little pastina yields a lot? Well, some things are learned from experience. 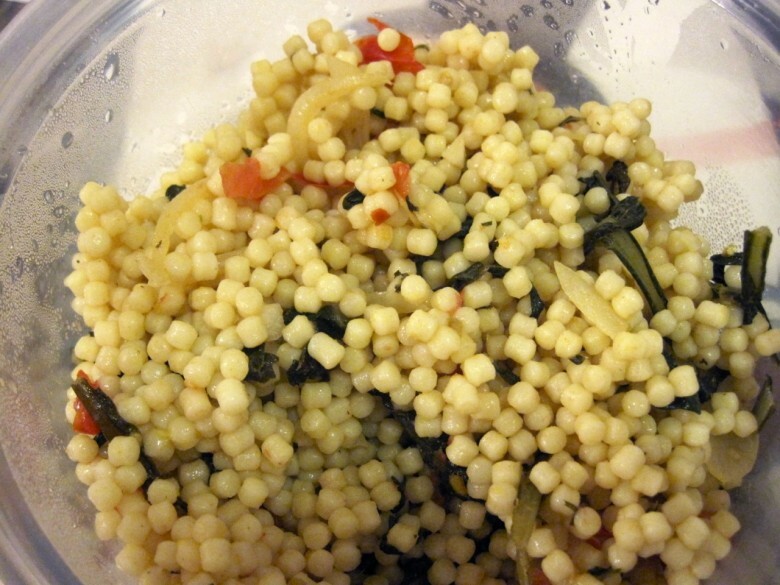 I had more pastina than I knew what to do with!! 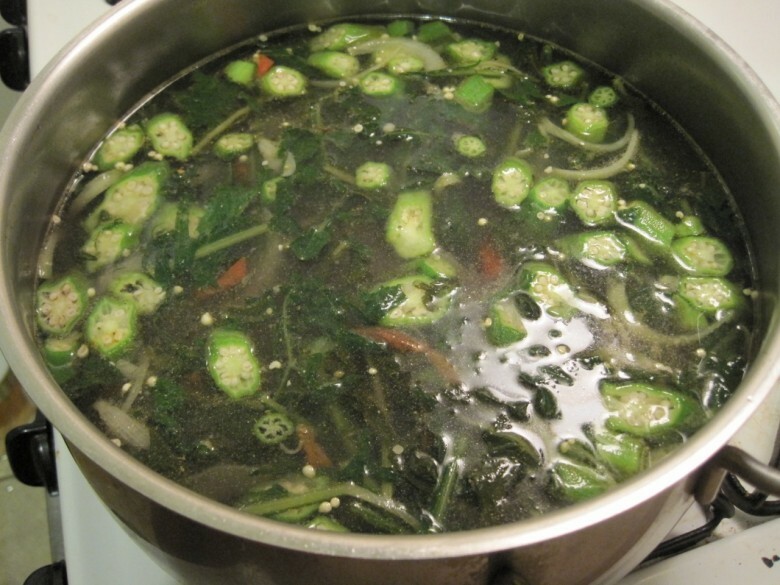 I also had some surplus dandelion greens that needed to get eaten before they went to waste… so I dug into the fridge and came up with this lean, green, power-packed soup. 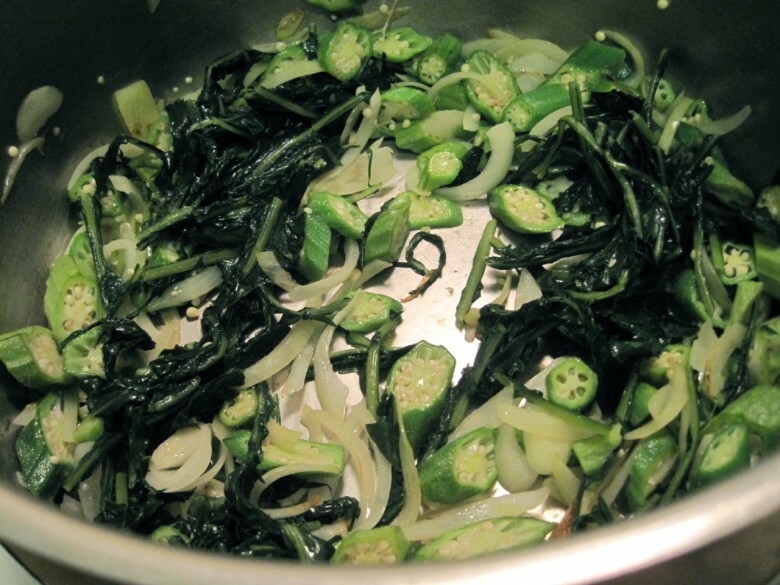 The rundown: In a large pot over medium high heat, warm a few tablespoons of olive oil and sauté a medium sized sliced onion, about 10-12 diagonally sliced okra, and a handful of washed, chopped dandelion greens. After a couple minutes of sweating the onions I filled the pot with water and added the leftover pastina, a couple spoon fulls of pasta sauce, and about 2 teaspoons of fake chicken base. Since the pastina dish was already seasoned, and bouillon is a tad on the salty side, I didn’t have to add a lot of extra seasoning to the soup. Bring the pot to a rolling boil for about 20 minutes, then reduce to a simmer. Allow the broth to reduce by cooking uncovered for about 45 minutes in total and then dig in. For best taste, serve with squeeze of fresh lemon on top!! I made so much soup I froze a container for a quick dinner (or in case I come down with a case of the sniffles again). 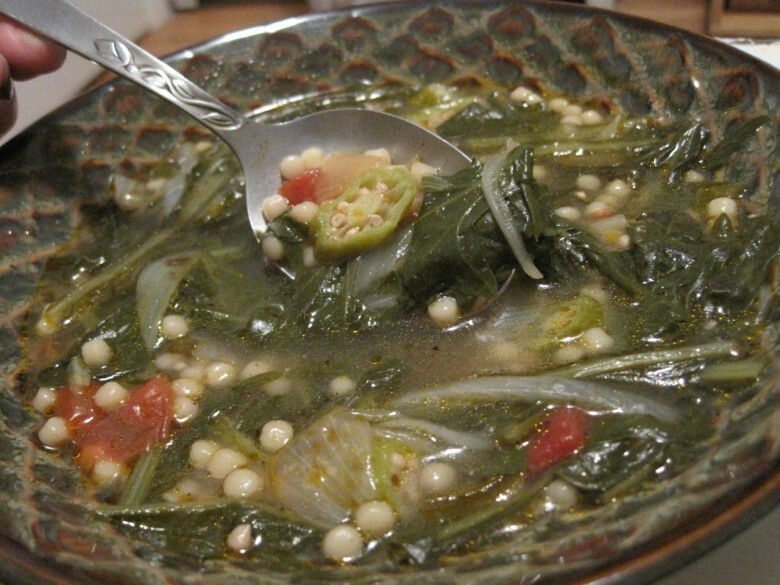 April 11, 2011 | Filed under dinner, lunch, vegan, vegetarian and tagged with dandelion greens, okra, pastina, soup, vegan, vegetarian.